A night of wildly memorable match-ups! 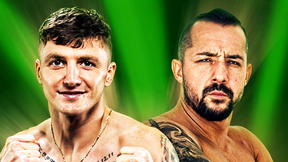 PRIDE 10: Return of the Warriors offered historic clashes like Kazushi Sakuraba vs. Renzo Gracie, Kazuyuki Fujita vs. former UFC superfight champ Ken Shamrock, and Igor Vovchanchyn vs. Enson Inoue to name a few. 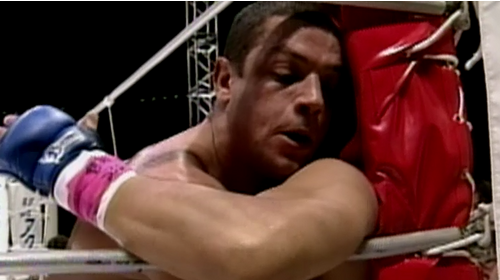 Kazushi Sakuraba vs. Renzo Gracie PRIDE 10: Return of the Warriors Sun, Aug 27, 2000 (31:46) Aiming to get some revenge on the man they call “The Gracie Hunter”, BJJ blackbelt Renzo Gracie, with his 9-1-1, 1NC pro record, took to the PRIDE ring to face catch-wrestler Kazushi Sakuraba, who had scored stoppage wins over two Gracies in the past year. Ryan Gracie vs. Tokimitsu Ishizawa PRIDE 10: Return of the Warriors Sun, Aug 27, 2000 (10:44) In his PRIDE and professional MMA debut, the 26 year old BJJ blackbelt Ryan Gracie would make his first trip into the celebrated promotion’s ring against famous Japanese professional wrestler Tokimitsu Ishizawa who was also making his entrance into MMA. Kazuyuki Fujita vs. Ken Shamrock PRIDE 10: Return of the Warriors Sun, Aug 27, 2000 (18:10) An absolutely fun fight as two heavyweight bulls locked horns as former UFC superfight champion Ken Shamrock who was coming off a successful PRIDE debut clashed with Japanese wrestling standout Kazuyuki “Iron Head” Fujita with his 4-1 pro record. Masaaki Satake vs. Kazunari Murakami PRIDE 10: Return of the Warriors Sun, Aug 27, 2000 (11:10) In a classic “striker vs. grappler” clash as former K-1 kickboxer Masaaki Satake was entering the PRIDE ring for the third time to take on professional wrestler Kazunari Murakami who scored an armbar finish in his first PRIDE appearance. Igor Vovchanchyn vs. Enson Inoue PRIDE 10: Return of the Warriors Sun, Aug 27, 2000 (20:38) Getting back on the winning track with his 32nd TKO stoppage, the unparalleled striking specialist Igor “Ice Cold” Vovchanchyn entered the PRIDE ring for his 11th time against BJJ blackbelt Enson Inoue with his 10-4 pro record with all wins by finish. Mark Kerr vs. Igor Borisov PRIDE 10: Return of the Warriors Sun, Aug 27, 2000 (14:16) Following his first official loss, former NCAA Division I National Champion wrestler Mark “The Smashing Machine” Kerr entered the PRIDE ring ready to return to his winning ways against Russian heavyweight Igor Borisov who scored a TKO in his MMA debut. Gilbert Yvel vs. Gary Goodridge PRIDE 10: Return of the Warriors Sun, Aug 27, 2000 (6:42) A knockout you’ll never forget! Two explosive fighters who owned 32 career finishes between the two of them squared off in the PRIDE ring as Gary “Big Daddy” Goodridge took on Muay Thai striker Gilbert “The Hurricane” Yvel. Ricco Rodriguez vs. Takayuki Okada PRIDE 10: Return of the Warriors Sun, Aug 27, 2000 (15:44) After earning his 6th career win in his PRIDE debut, BJJ blackbelt Ricco “Suave” Rodriguez was ready to return to the ring against judo specialist & Japanese professional wrestler Takayuki Okada also known as “Giant Ochiai”. 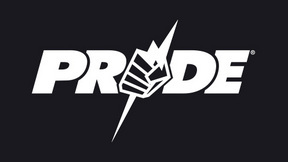 PRIDE 10 Wanderlei Silva vs. Guy Mezger PRIDE 10: Return of the Warriors Sun, Aug 27, 2000 (13:53) Already 3-0 in PRIDE, ultra-aggressive Muay Thai striker Wanderlei “The Axe-Murderer” Silva entered the ring to trade fists & feet with UFC 13 tournament winner & highly-experienced MMA veteran Guy Mezger and his 24-10-2 pro record. Vitor Belfort vs Daijiro Matsui PRIDE 10: Return of the Warriors Sun, Aug 27, 2000 (29:25) Following his first win in the PRIDE ring, UFC 12 tournament winner “The Phenom” Vitor Belfort, with his 7-2 pro record, would put his scintillating striking against the unorthodox attack of catch-wrestler Daijiro “The Japanese Tank” Matsui.